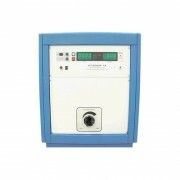 Our HT-3000PAC-1A V2 is an AC only hipot tester with an output up to 3000V and leakage current up to 1A. Not only powerful but safe, the main shutdown switch is strategically located on the front panel. 1A max continuous duty, no ramp, no arc detection. Advanced micro-controller technology allows for easy 1-button testing. Made in the USA. Calibration certificate and 1yr warranty included. Not sure - contact us! Leakage current up to 1000 mA. Microcontroller technologies, one button test, easy to setup, LED's indicates test in progress. Upon failures buzzer sounds and testing is terminated. 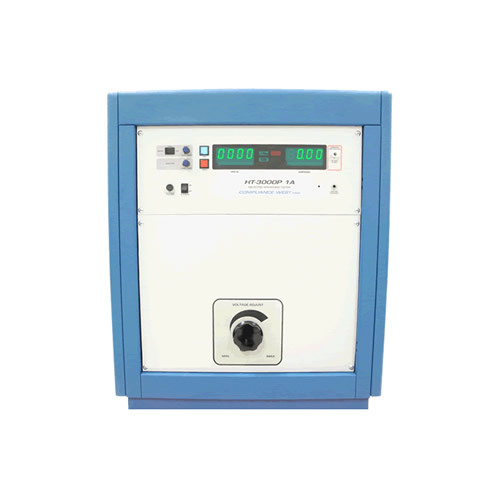 Output voltage, Leakage current and test duration are controlled in the front panel. Optional very sensitive breakdown detection circuit. Main shutdown switch in front panel for safety.